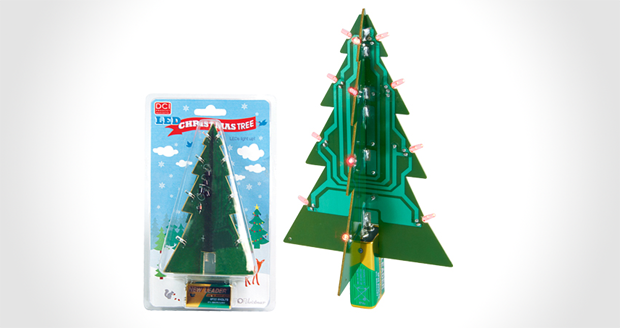 Awesome little circuit board christmas tree for you desk, sidetable or window sill? Or anywhere really! Just plug a 9V square battery into it which then becomes the base/pot!